This is easier than the classic tarte tatin but just as tasty for a quick dessert. Preheat oven to 170C/gas 5. Line a 20 – 22cm cake tin with parchment paper, so that it comes up the sides & grease it with the butter. Sprinkle the sugar over the butter & press down lightly. Halve & stone the fruit, then arrange them on top of the sugar (cut side facing down) packing them in tightly. Roll out the pastry & cut a 24 – 26cm circle. Lay the pastry on top of the fruit & tuck it in around the fruit. Make 3 small holes in the pastry to let the steam out while the tarte is cooking. Bake for 40 minutes or until golden. Made this for my Son’s birthday yesterday. You do need to make two different cakes for this to look like a Mars Bar inside. Preheat oven to 190C/gas 5 and line a loaf tin. Break the chocolate into a glass bowl and melt over a saucepan of hot water. Cream the butter and sugar until it’s pale and smooth. Add one egg at a time, beating for a minute after each addition. Add the melted chocolate to the mixture and beat well. Combine the flour, baking powder and bicarbonate of soda in a separate bowl. Put the milk in a jug and add the vanilla extract to it. Add one-third of the flour to the batter mixture and beat well. Pour in one-third of the milk and beat again. Repeat this until all the flour and milk have been added. Pour the mixture into the prepared tin and bake for approx 60 minutes, check after 45 minutes and if it looks as if its going to burn before baking through cover loosely with kitchen foil. Once cooked through leave to cool in the tin for 10 minutes before transferring to a cooling rack. Preheat oven to 160C/gas 4 and line a loaf tin. Beat together the butter and sugars until pale and smooth. Add the eggs, one at a time beating for a minute after each addition, add the vanilla extract. Combine the flours in a separate bowl. Add one-third of the flours to the creamed mixture ans beat until just combined. Add the caramel sauce and beat well. Add another third of the flours and beat until just combined. Add the double cream and beat again. Add the remaining flour and beat well. Place the butter, milk and brown sugar in a saucepan over a high heat and stir to combine. Bring to the boil, stirring continuously, and allow it to boil for 1 minute. Remove from the heat and stir in half the icing sugar. Leave to cool slightlyy, then add the remainder of the icing sugar and vanilla extract and stir until it thickens. Once both cakes have cooled completely, cut the top off the cakes as we need them to be flat but at the same time try to make sure you have the same thickness of both the chocolate and caramel cake to use. Place the chocolate cake on a cake board and spread with caramel buttercream. Spread caramel sauce on the caramel cake and sandwich the two cakes together. Brush the melted jam all over the cake, then cover with the chocolate fondant. 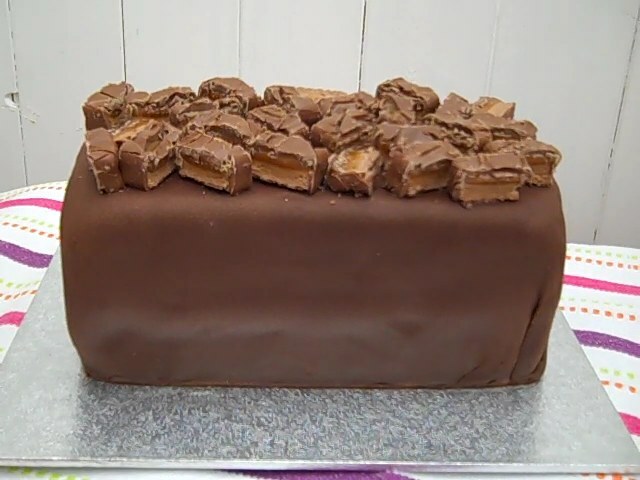 Chop the Mars Bars into small pieces and attach to the top of the cake with a little melted chocolate. This homemade butterscotch pudding recipe use’s the sort of ingredients we all have in our cupboards and is so easy to make, you will wonder why you ever bought a packaged pudding. In a large saucepan, with heat at medium, stir together milk, sugar, flour, eggs and salt. Stir constantly with a balloon whisk while the mixture comes to a boil and begins to thicken. 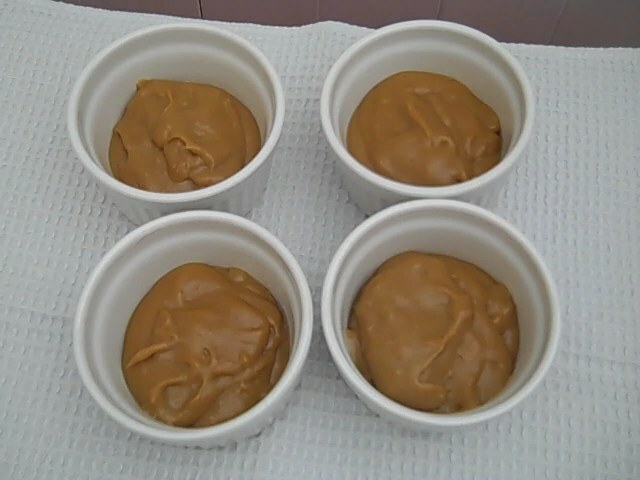 Pour pudding into four individual serving cups, cover with plastic wrap and refrigerate until chilled and ready to serve. This amount makes 4 – 6 servings, depending on how big you want them. I made some smaller ones as some are for Grandchildren. They don’t bite, but watch out for these rare red-legged spiders. Pre heat oven to 180c/gas 4 and line a muffin tin with paper cases. Cream the butter and sugars until pale and smooth, this will take a few minutes. A the eggs, one at a time, mixing for a few minutes after each addition. Add the vanilla extract. Combine the two flours in a seperate bowl. Add one-third of the flours to the creamed mixture and mix well. Add the caramel sauce and beat well. Add another third of the flours and beat until it just comes together. Add the double cream and again beat well. Add the remaining flour and beat well again. Spoon into paper cases, filling them to about two-thirds full. Bake for 20 – 25 minutes until slightly raised and golden brown. Leave in the tin for 10 minutes after taking out of the oven before transferring to a cooling rack. I used Strawberry Laces but if you can find them you could also use Liquorice Catherine Wheels. Make 8 small cuts into each cake (for legs) and stick in the liquorice pieces in place. Spread the buttercream over the tops of the cupcakes. Using liquorice allsorts for eyes, put them in place. If the buttercream has hardened, use a little chocolate spread to attach them. 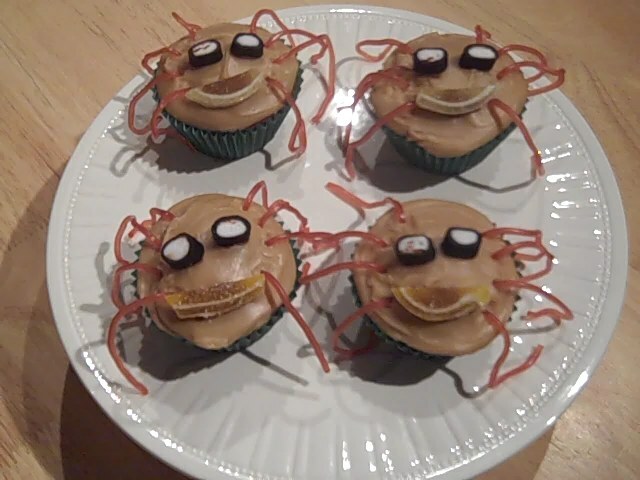 Using Orange & Lemon Flavoured Slices , cut them to form the mouth, and attach them in the same way as the eyes. For those of you who aren’t familiar with the ”Three Peaks Challenge”, here’s a link to my Son’s page… https://mydonate.bt.com/fundraisers/pauljamesnewton1#.UUEPnhjV7pU.facebook. The one on the right in the photo is a Raisin & Apricot Flapjack & the one on the left is a Fruit, Nut and Seed Flapjack. 100g/4oz pack of raisin and apricot mix or 100g/4oz pack of fruit, nut and seed mix, I used Whitworths. Preheat the oven to 150C/gas 2 and line a 20cm/8in square baking tin with baking paper. Melt the butter in a medium pan over a low heat. Add the golden syrup and sugar to the butter and heat gently. Once the sugar is dissolved and the butter is melted, remove the pan from the heat and stir in the porridge oats along with either the raisin and apricot mix or the fruit, nut and seed mix.Pack the mixture into the baking tin and squash down. Bake in the oven for 40 minutes.Once cooked, remove from the oven, leave to cool for 15 minutes, then turn out on to a chopping board and cut into squares. 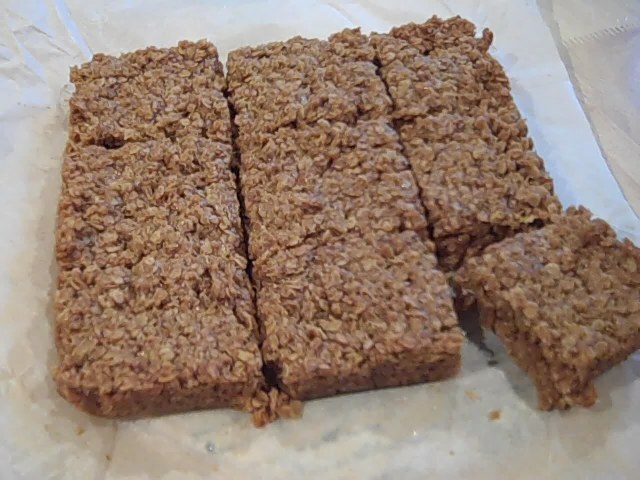 Classic, chewy and good for you, flapjacks are simple to make and hard to beat! Melt the butter in a medium pan over a low heat. Add the golden syrup and sugar to the butter and heat gently. Once the sugar is dissolved and the butter is melted, remove the pan from the heat and stir in the porridge oats, lemon zest and ginger.Pack the mixture into the baking tin and squash down. 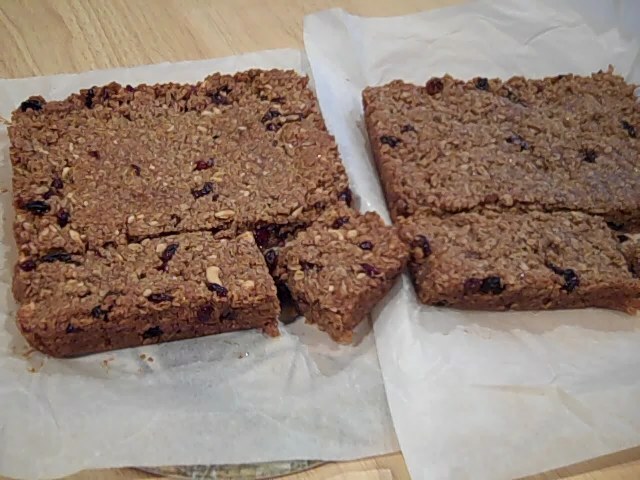 Bake in the oven for 40 minutes.Once cooked, remove from the oven, leave to cool for 15 minutes, then turn out on to a chopping board and cut into squares.These flapjacks are delicious in a packed lunch or as a grab-and-go breakfast. Delicious on a cold winter’s day. Iced with a tasty caramel buttercream icing. 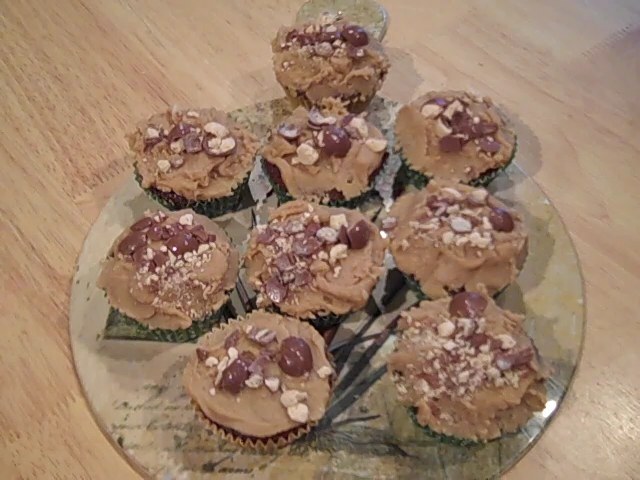 Can be decorated with any crunchy chocolate or toffee. First make the caramel sauce. This recipe makes about 75ml. Put the sugar and 5 tablespoons of the measured water in a saucepan and stir over a low heat until the sugar has dissolved. Increase the heat and cook over a high heat for 10 – 12 minutes, at which point the mixture should be a dark amber colour. Remove the pan from the heat and leave to cool slightly. Stir to help it cool but take great care as the sugar is extremely hot! Once the mixture has cooled slightly, add the remaining water to the mix and continue stirring. Hold the pan away from you when adding the water as it will sizzle and splatter. When the sauce is completely cool, pour into a bowl and cover until ready to use. Pre heat oven to 160C/ gas 4 and line a muffin tray with paper cases. In a bowl cream the butter and sugars until pale and smooth. Add the eggs, one at a time mixing a little after each addition. Add the vanilla extract. Combine the flours in a seperate bowl. Add one-third of the flours to the creamed mixture and mix until the batter just comes together. Add the caramel sauce and beat well. Add another third of the flour and beat again. Add the double cream and beat again. Add the remaining flour and beat again until the mixture is well combined. Spoon the mixture into the paper cases and bake for 20 – 25 minutes until slightly raised and golden brown. Leave in the tins to cool for 10 minutes before placing on a wire rack to cool completly. Remove from the heat and add half the icing sugar. Leave the mixture to cool slightly, then add the remainder of the icing sugar and the vanilla extract and stir until it thickens to your desired consistency. Tis icing is best used immediately. If you do need to make it in advance, or if you have some left over, thin it with a little double cream and beat well before using. Alternatively, heat the icing for 10 seconds in a microwave.